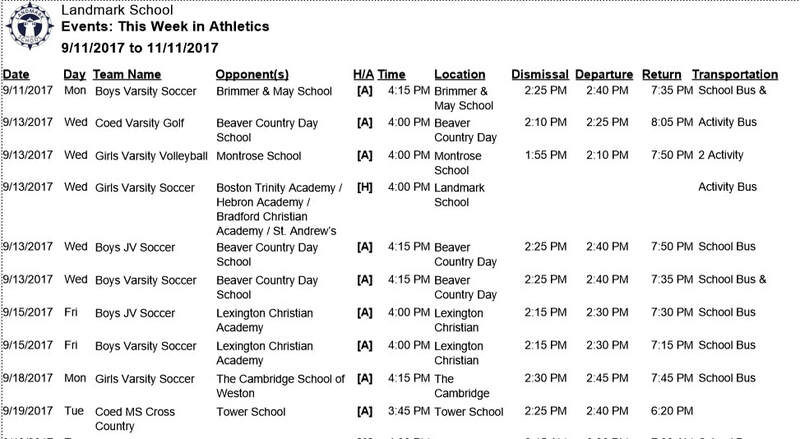 The Schedule layout is the workhorse of the Athletic Scheduler. From here you can completely manage your schedules. 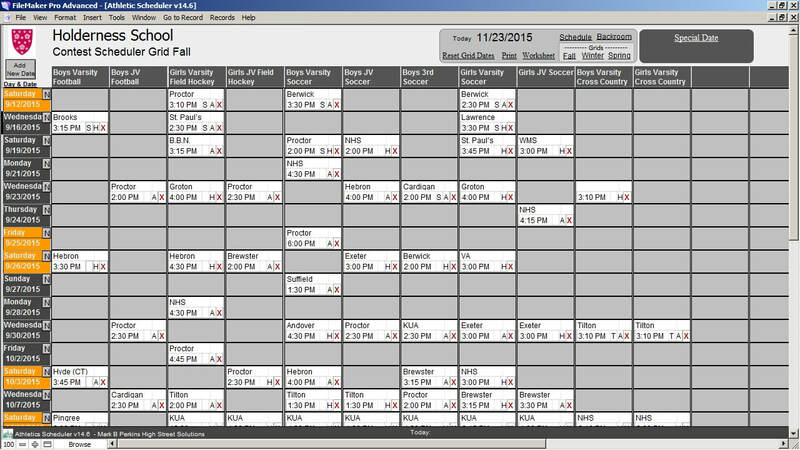 The Grid allows you to view your schedule in a Date by Team grid. In this view you can edit contests and check them off as confirmed with the opponent. 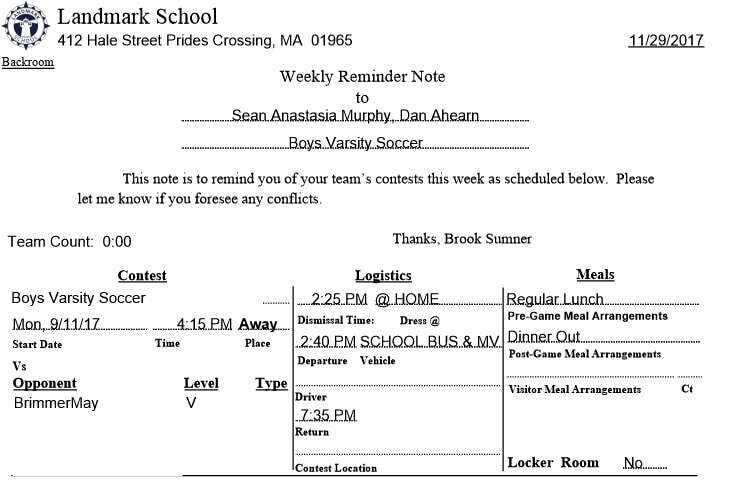 Email your communications directly out of the Athletic Scheduler. 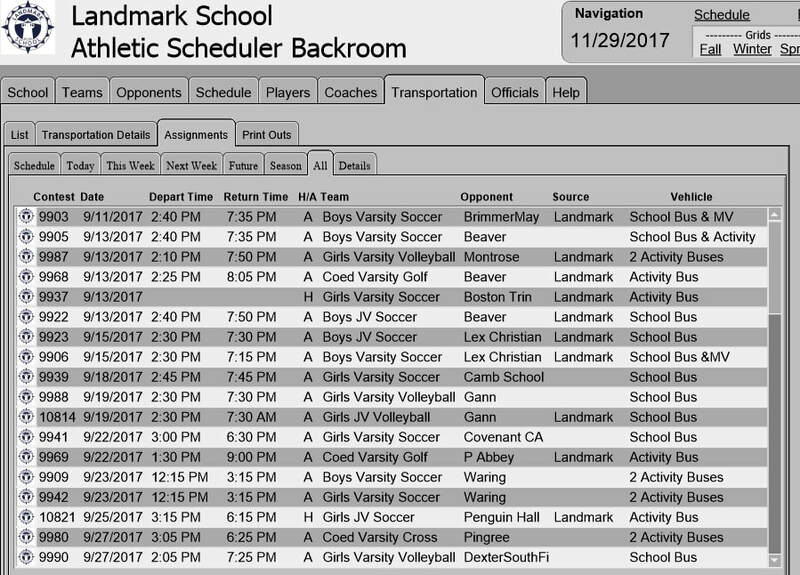 ​You can also post your contest to your Google Calendar or export it using ical to import into your school's website calendar . 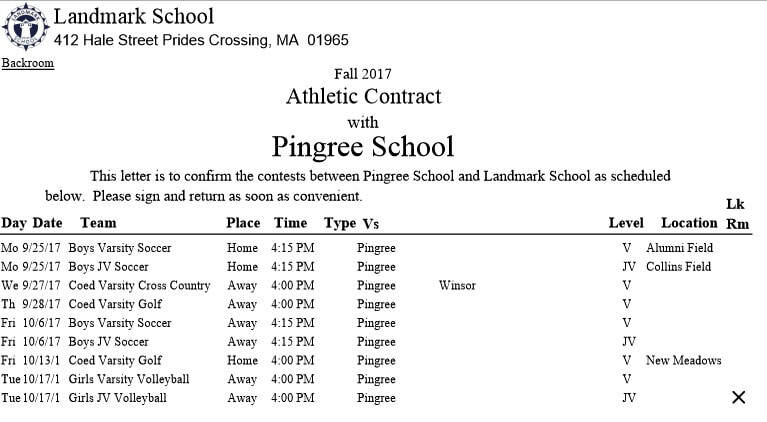 You can schedule Practices just like contest, in fact, practices are records in the Schedule table. Here they can be added, modified, or deleted. ​The logistics calculator calculates the Dismissal Time, Departure Time, Pre-Game Meal, Post-Game Meal, and Return Time uniquely for each Contest in seconds. 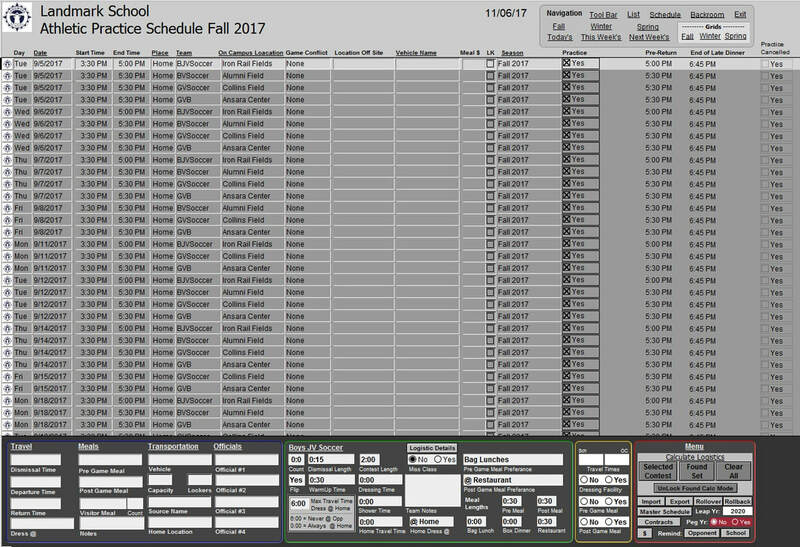 ​The Master Schedule is ideal for sharing the details of your schedule with other at your school. Print it on paper or as a PDF to be emailed or posted on line. ​Athletic contracts, or as some call them Letters of Agreement, are easily generated and either printed or emailed. Reminders can easily be sent out to individuals in your school as well as your opponents and officials. Transportation can be assigned and managed, and shared with all. 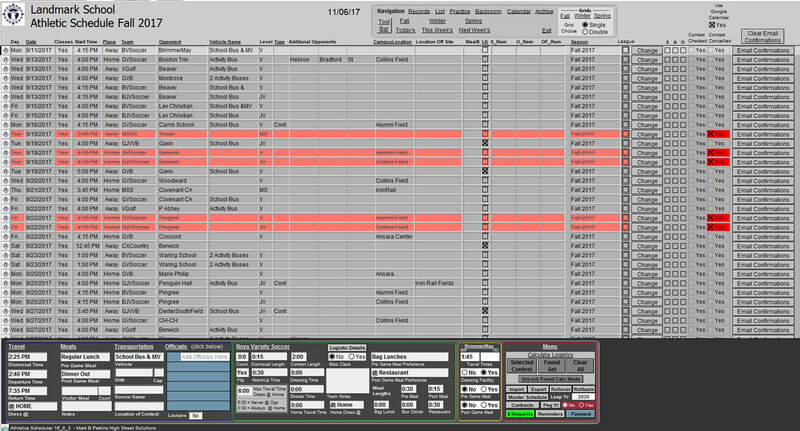 ​"Using Athletic Scheduler has significantly reduced the time needed to effectively communicate with my coaches. The ease of confirming contests, opponents, officials and all logistics has allowed me to focus on other athletic director responsibilities."